Really nice....the bg does look a tad too realistic but it still looks nice with what they are wearing. Heh...the bubbles are a nice addition ^^ Nice wall !! Cheerz! Good work from you! really nice work on the photomanip ^^ Excellent style and incorporation of the scan! woowwiiee ... this is great ..
BG matches will with the scan. It looks a little too real upon close inspection but it's not something you notice at first glace. Really nice wallpaper! Great job! I love the background for this. It fits the scan perfectly, which I also like. Great wallpaper! 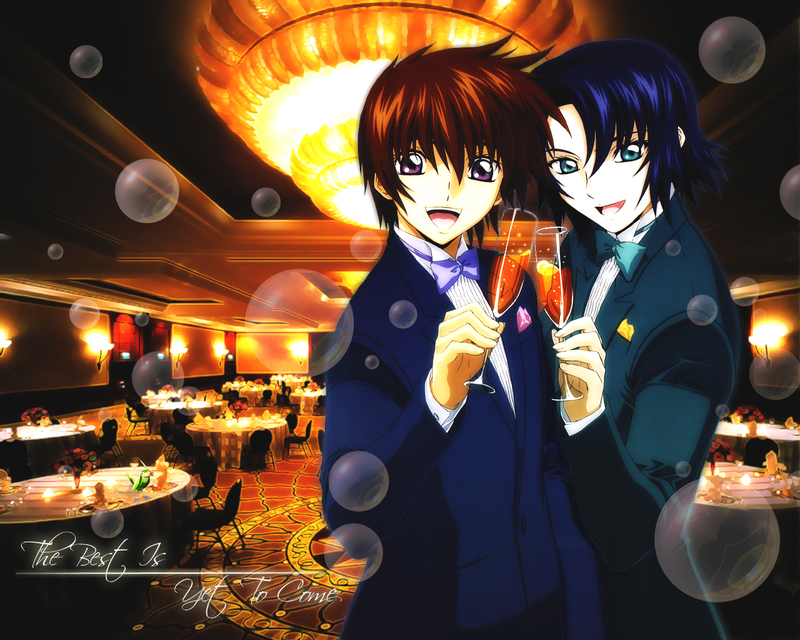 nice wallpaper of the sexiest boys in gundam seed! !weee!i like their drinks! !lol.the ballroom looks nice too! !good job!